I’m always wary about finishing sci-fi series’. There’s always a lot hanging on the end of a trilogy, especially one where there’s been an apocalyptic scenario. Either the world will end, or it won’t. I got the same feeling reading Rick Yancey’s The Last Star as I did when I finished Micheal Grant’s Gone series. 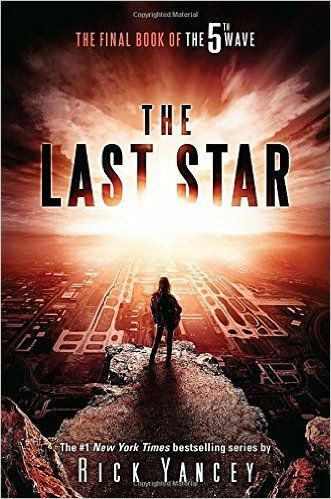 Before I write this book review of The Last Star, I was wondering whether it would all end for the humans, and whether it would be an appropriate ending if so. On the other hand, I was certain I didn’t want everyone to survive. It’s an apocalypse for a reason. But after investing a lot of love in the characters and the plot I had to question: will the ending ruin it? I won’t say whether the world ended or not. All you need to know is the conclusion to this funny, heart-wrenching series was right on point. All the characters get back together for one final battle to save Earth. And of course, any war will have causalities. I was quite surprised at the way the story ended, but again, I wouldn’t have it any other way. I was relieved to see that The Last Star was longer than The Infinite Sea, because really the second book felt like a filler in the space to me. But The Last Star burned bright, with some pretty epic battle scenes, plenty of metaphor and some hilarious dialogue, some of the best things the series has always offered. I’ve got to admit, the third book made me fall completely in love with Ben Parish, even though I was already half way there by the second book. I had hoped to see him end up with the other girl (no spoilers!) but that’s probably my only complaint. Having said that, I’m not really sure what I make of the relationship between Sam and Cassie in this one. There seems to be a lot of mistrust and hate from Sam’s part which is never really resolved, despite the fact everything Cassie did in the books was for his benefit. Nugget went through a lot in this series, so it’s hard to blame him for being a little on the edge. But I just wished he and his sister had sorted out their issues before the end of the novel. But this series is great because you never truly know who you can trust. 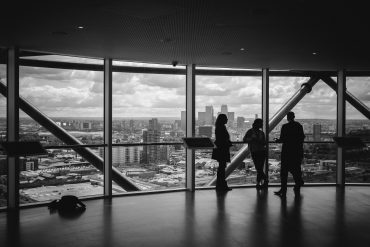 No characters have just one dimension, one motive, one decision. The whole premise of the story is that nobody knows who is human and who isn’t. Or rather, who is partially human and partially Other. So with Ringer enhanced by the 12th Dimension and Evan Walker having made a major allegiance shift, characters that should be supporting each other turn against their friends. There’s so much tension, and I couldn’t get enough. All in all, a satisfying end to an explosive series. Now I’m looking forward to seeing what the films do with the books. Bring on movie two. I really enjoyed The 5th Wave but when I read the sequel, The Infinite Sea, I was a little bit disappointed. Only a little bit. I’m really looking forward to the last one now. Great review!